Childcare is one of the biggest expenses you will have as a working parent to a pre-school aged child. In the UK in 2015, the average cost for a child aged two years to attend 25-hours a week of childcare has been estimated to be around £6,000 per year according to the Family and Childcare Trust. This is a staggering amount and it’s hardly surprising that many parents struggle financially when juggling work and childcare. If you are thinking about returning to work following the birth of your child, then you are probably considering the costs involved and whether or not you can afford it. There is some support available, however, this is limited and may not be relevant to your needs. Therefore, before making the decision to return to work, it is worth sitting down and working out your budget. Firstly, if you haven’t already chosen your childcare provider, then get some quotes for an idea of how much providers in your area charge, and use this to calculate your monthly costs. Secondly, calculate your take home pay after tax, national insurance, pension, student loan and any other deductions. 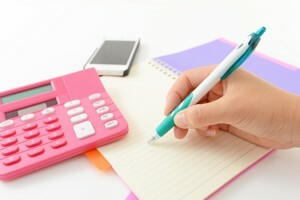 If you are not sure how to do this you can use an online tool such as this one available at http://www.thesalarycalculator.co.uk/salary.php. These two figures can then be used to calculate how much money you will be left with each month. If your employer is flexible about the amount of hours you work, then consider doing calculations based on working both part time and full time. You may find that your take home pay is similar or even better when working part-time as opposed to working full-time because you will be paying less or no tax thanks to the higher tax free personal allowance that is now available. Don’t forget to take into account any other costs associated with going to work. For example, do you have to pay for travel to and from work and for parking? Are you required to buy a uniform? Does your childcare placement have additional costs, such as uniforms, trips, etc.? Finally, make sure that you are getting all of the government funding that you are eligible for. You can use http://www.entitledto.co.uk/ to check your eligibility. This is a free to use website operated by an independent organisation, used by national charities and local government organisations across the country. What Financial Support Is Available For Childcare Funding? There are government schemes that you may be eligible for to help you pay for your childcare. These could make a significant impact on your family budget. If you already receive Working Tax Credits (or qualify for it), you work at least 16 hours a week, and you are using a childcare provider who is registered with the local authority, then you may be able to claim extra Tax Credits for childcare. You could be entitled to up to £210 a week if you have more than one child. You can check your eligibility here – https://www.gov.uk/childcare-costs-for-tax-credits. Childcare Vouchers are a salary sacrifice scheme where your employer pays you part of your wages (up to £55 a week) in vouchers. These vouchers are tax free, so in effect, you end up paying less income tax, resulting in a greater amount of take-home pay that includes the vouchers. Your employer must be part of the scheme, and if you earn less than the level at which you start paying income tax on your earnings then you won’t be any better off on the scheme. It should be noted that the tax free element only applies to the vouchers, and not to any other in work benefits related to childcare that your employer may offer you. Contact your local authority initially to find out how to claim your child’s place, as the application process varies across the country. In some areas of the UK, some 2 year olds are also eligible, depending on the financial circumstances of the parent or if the child has special educational needs. Your local authority will be able to provide further information on this.